Your website is out there in the world of the internet 24/7. Whenever you open the link, it’s there. When it comes to the cards, there are so easy to be lost. Cards usually have your name, telephone number, and address. This is information that people think will remember, but the truth is this information is easy to be forgotten. See here how to make a classic business card. Also, cards get lost all the time. That’s why you need to tell people about your website or have a card with a clearly written website on it. Make people remember the link to your website and even if you have no business card, you shouldn’t worry. Of course, if you have a well-made site. The card has only so much to explain about you and who you are. Just imagine how many cards an important person in your business field gets every day. If you’re a newbie, getting the attention of the people from the big leagues is very hard. You might have one shot or no shot at all. So, if you get that shot, you must make the most of it. Another important thing here is that you must have a website that’s stunning. If you think that big CEO’s of giant companies don’t use the internet, you’re wrong. They are people just like the rest of us and use the internet to find information both for their own personal needs and to check out the business opportunities. This is the main reason why you need a perfect website. Don’t just put up something with a bunch of pictures and some content, but built a web page that looks really amazing. When someone opens your site, you have to make them go – wow. You need a skilled and competent web designer that will make an original piece. When you hire a web design company, explain to them that you need an original and special website that will speak about your personality. See CityTech HQ website to understand what a clean, minimalistic, and professional web page looks like. It’s important to make a site that is different and stands out from the crowd. There are millions of web pages on the internet and they all look alike. You need to make an impression with your web page because this is your real business card. The website is a place where people will get to know you better, but it’s also a place where you can make money. Having your own page is excellent for doing some free marketing and also give your customers a chance to buy directly from the page. Today, more than 20% of the whole trade in the US is happening online. This is a huge number. Every year this number only goes up. Every few years this number rises for another 5%. You can expect in the future the internet to overtake the trade in the world and completely dominate the trade. If this is not the proof that you need a well-prepared sales part on your page, then what else? The statistics on internet sales says it all. Another thing is marketing. People basically live on the internet today. Social networks make a lot of money from both companies trying to reach out to their customers and from the people using those social networks and buy stuff through social networks. A good page should be synced with most of the big social networks and offer a chance for users to follow your business pages on different networks. Having a web of follower on different social networks will create a base of followers that will make your brand more popular. All this is basically free marketing. Big companies, however, use a part of their budget to promote the products on the social networks which are then connected to the web site where people can buy. See the link that business cards can’t do? A business card will never be able to make an introduction you deserve. Those two lines of a catchy line that is supposed to make you smart and witty often go wrong and make completely the opposite. Not everyone is a born poet to tell their life story in 5 words, right? 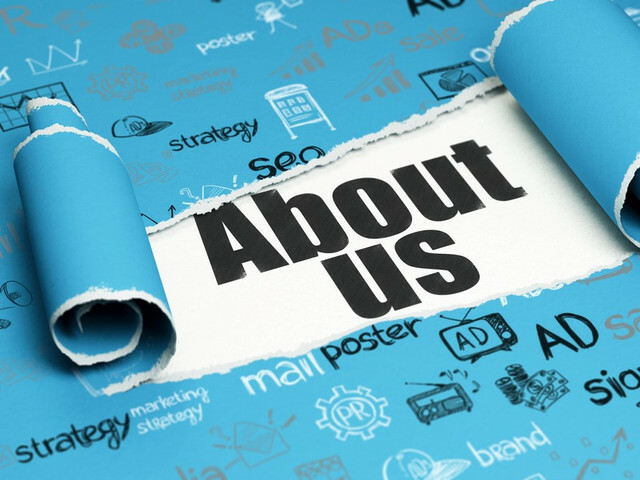 When you have a great website, you have a special about me section where you spend some more time explaining who you are, what your business does, and what are your objectives and those of the company. 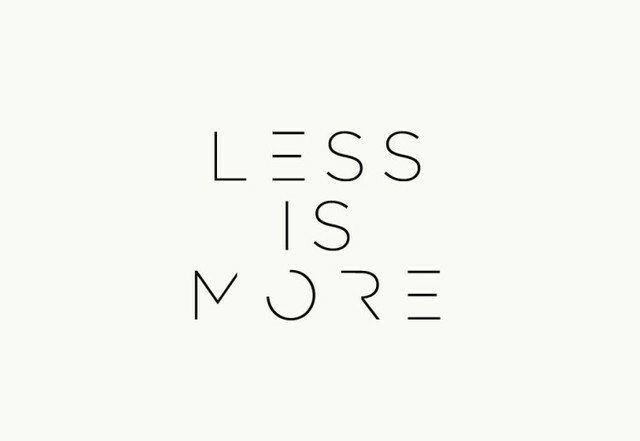 Minimalism is IN during the last decade so keep your page simple and compact. You’ll make a better impression if you keep the content in the background while showing style on the front page. Many web designers argue if homepages should even exist. Our opinion is that they are important exactly for showing your style. Keep the homepage cool, and keep the content in the submenus. To know more about it read this article.